Julia was born deaf…and so was her dog Walter. 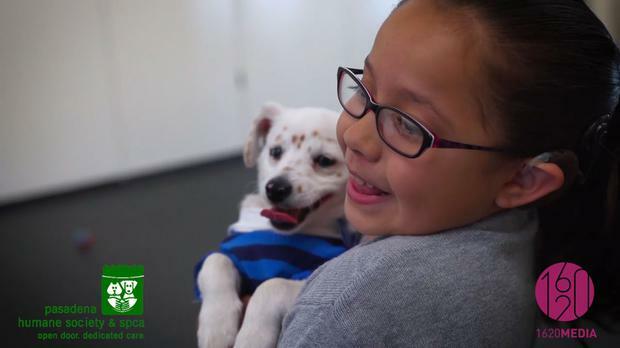 In the heart-warming video posted by the Pasadena Humane Society, Julia can be seen teaching the small dog commands in sign language. The pair play together and are best pals, Julia’s mother tells the camera. “She’s learned a whole other kind of love,” she said. "I remember just looking at him, and I just knew that he was meant to be ours,” she added.